A great day visiting our Cavalier friends! I left Kodee and Becky at home as I was supposed to be sewing Cooling and Drying Coats for the dogs. Many of my friends are fellow Cavalier owners, so it wasn't long before I ventured to the yard for a bit of playtime, photography fun and a moment to steal a few nose kisses! Audrey is such an athletic girl! She can turn on a dime in a split second to revel Zoey for the ball first. 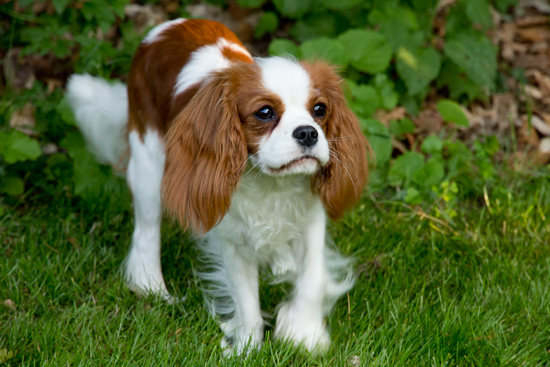 Cavaliers are prone to easy weight gain and overweight dogs are not enjoying life. Zoey is a good friend's dog still staying trim and fit at 5.5! 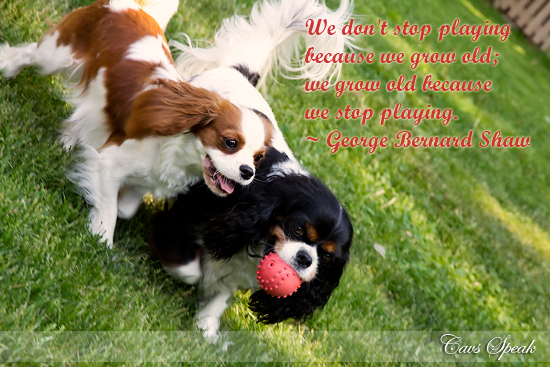 As with all Spaniels, Cavaliers have a natural instinct to hunt. I wish the Robin luck Audrey is stalking! 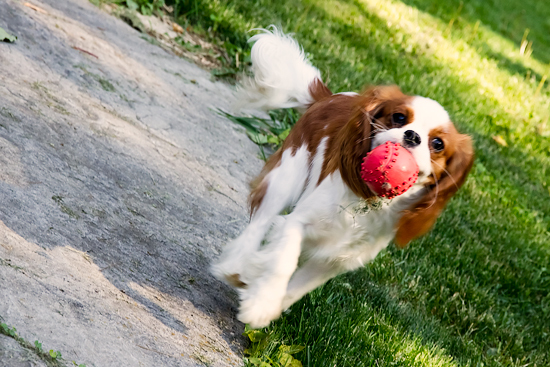 Also, if you like to photograph dogs and have a FlickR account join us at the "Daily Dog Challenge"
what a cute shot. Have a wonderful weekend. Oh, they are precious!! What a great shot! 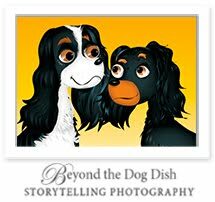 The Spaniels are beautiful dogs. They look very healthy and so happy. You must take great care of them. Kudos! 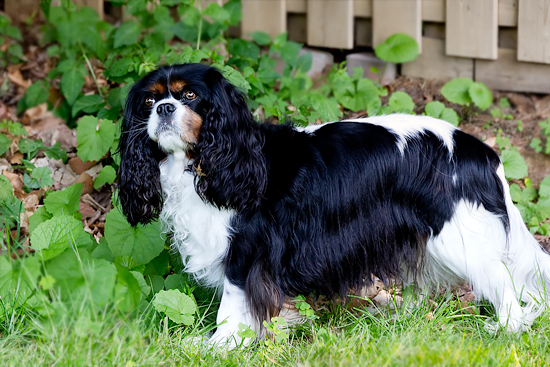 Cavaliers have so much character and they are wonderfully photogenic. 2012's Super Moon Lacked Sizzle!